These days with a little in tow with us nearly everywhere I have been a huge fan of things that serve multiple purposes, don’t look baby related, and are more versatile than a swiss army knife. Well, say hello to the C12 bag from Bartaile. This smart bag has every pocket you could need no matter the use and best of all there are three ways to wear the straps. 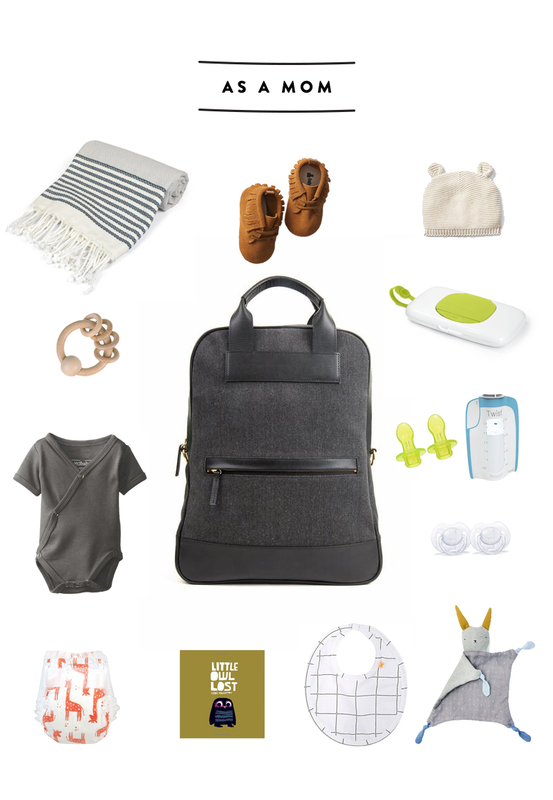 We have been test driving this bag for the last month and have used it in every situation from work to travel to baby toting to just daily trips to the grocery store. Because I am such a huge fan of this bag these days I wanted to share the three ways I use it regularly and what I toss inside as well. For everyday use, I typically use the bag a backpack most. Whether we are going to a work meeting, spending the day wandering around Northern Michigan or just to go for a walk. Here are a few essentials you can always find in my bag on the daily. Probably one of my favorite uses for the bag is as paired down diaper bag perfect for an afternoon out. 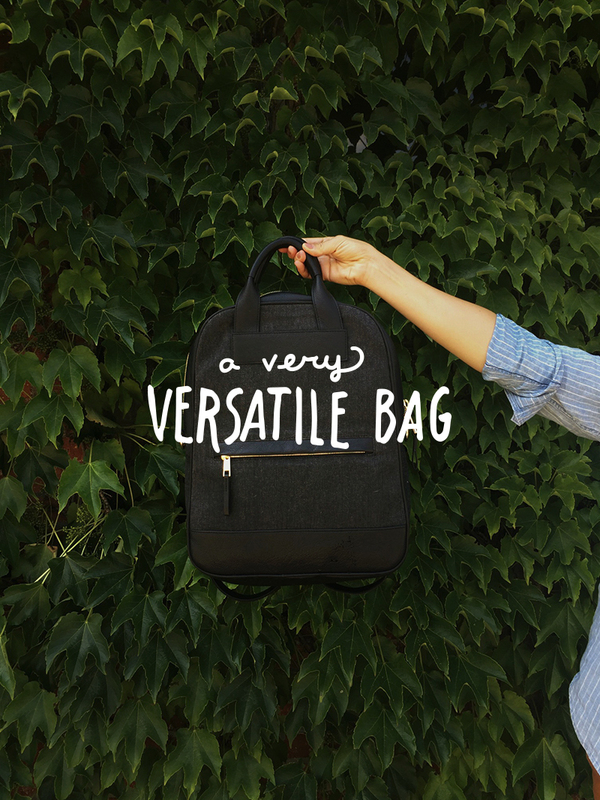 We have a larger backpack we LOVE, but sometimes you want a lighter load and this bag works beautifully. We toss in just the necessities and head out for a lunch of coffee at a favorite place. I cannot think of a better use for this bag. 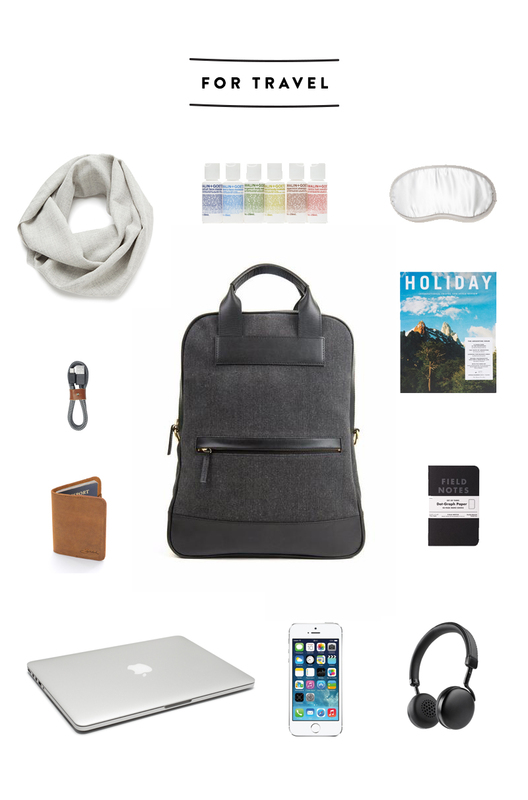 This bag was meant for travel, especially air travel. I cannot wait to get this thing in the air next month when we head back to Raleigh and give it a go. Don’t miss following along with Bartaile and other products they plan to release in the coming future. They did a beautiful job with their first bag and I cannot wait to see what they do next. Check out their gorgeous site here. Thats such a nice bag! 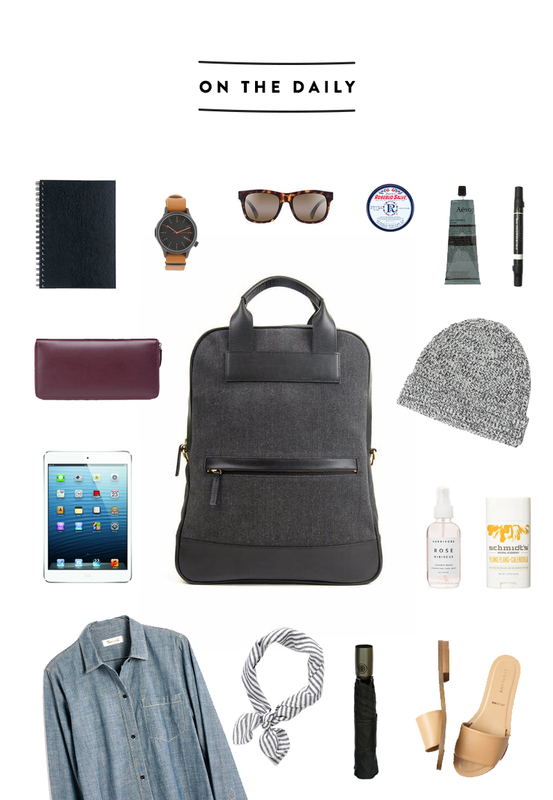 It’s sleek looking, but can definitely carry the essentials — and then some. All around, it’s the perfect tote!